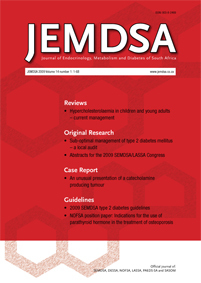 The inaugural meeting of the Lipid and Atherosclerosis Society of Southern Africa (LASSA) was held in Johannesburg in September 1989 and was attended by approximately 100 delegates. LASSA was established by a small group of individuals led by Harry Seftel. The aim was to bring together researchers in many different disciplines who were contributing to, or could contribute, to knowledge in the field of lipidology.